The Dynamic Termite and Pest Control Company, Inc. Comment: We have been hearing running around & what sounds like a sawing sound on top of the house. We believe the noise is coming from squirrels. We have seen them jump onto the roof from a tree in our yard. The tree is several feet away from the house. We have also seen a squirrel on the edge of the roof (like it was yelling). I don't have an accessible attic or the means to get on the roof to see what is going on. I am worried they may be doing damage to my roof or worse. Would your company be the ones to come check it out to see if they are trying to get into the house? And what would be the cost? Comment: 2nd time finding mice droppings in our house. Need them gone ASAP. Comment: I have a room that was added on to my house about 10 years ago. It does not have an attic. The squirrels have been coming back repeatedly in the last 5 years. I now have them living in the ceiling of this room!!! Comment: Living under shed in back yard and eating through garbage can lid to get to garbage. Comment: Weâve heard what sounds like chewing in our attic and just discovered red droppings bear the insulation. Comment: we cant sleep with the rodents in the attic keeps us awake every night. Middlesex Pest Control Services are rated 4.77 out of 5 based on 1,905 reviews of 29 pros. 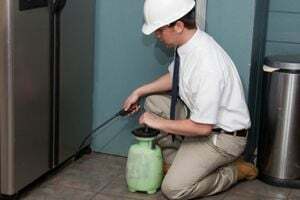 Not Looking for Pest Control Contractors in Middlesex, NJ?